Despite coming up 0.01 seconds short of making the automatic qualifying standard for the March 1-4 IAAF World Indoor Championships in Birmingham, England, veteran sprinter Tahesia Harrigan-Scott will be the territory’s sole representative at the event. Harrigan-Scott who won an IAAF World Indoor Championships 60m bronze medal in 2008, came up 0.01 seconds short of her goal of automatically qualifying, while registering a victory in the Arkansas Qualifier, in Fayetteville, Arkansas. She didn’t have to wait long as the BVI Athletics Association gave her the nod, after running under 7.36 seconds For the 13th time in 15 years. At the same competition, the BVI’s Ashley Kelly recorded 200 and 400m seasons bests. After winning her 400m heat in 54.13 seconds and settled for fourth place overall, Kelly also won her 200m section in 23.95. Her time was fifth fastest of the meet. In other action, the BVI’s Trevia Gumbs extended her week old BVI national Shot Put record by five inches with a heave of 15.42m (50’ 7’) to shatter the Findlay Field House record, with her second throw over 15m. She won the Weight Throw with a mark of 19.42m (64’0 ½”). At the Northern Arizona University tune up, Central Arizona College sophomore Tarique Moses of the BVI, was second in the 600m in 1 minute 23.31 seconds. Iowa Central College Sophomore Nelda Huggins, won the Region XI Indoor Championships 60m in Storm Lake, Iowa, with a time of 7.51 seconds. She had a 7.55 second time to win the prelim. She led off the victorious 1600m relay that ran 4 minutes 09.20 seconds. Freshman teammate Akeem Bradshaw, overcame three successive fouls to finish second in the Triple Jump after leaping 14.40m (47’3”). He was third in the Long Jump with a 6.87m (22’6½”) mark after a 6.97 (22’10½”) qualifier in the Long Jump. Other athletes in action saw College of the Sequoias freshman L’T’Sha Fahie, won her 100m heat at the Fresno Pacific Invitational in CA, with a time of 12.82 seconds, to finish third overall. She anchored the 4x100m relay to a second place finish in 50.13 seconds. Affected by the flu, Barton County College Freshman Adriano Gumbs was fourth in his 600m heat in the Kansas Jayhawks Community College Conference Region VI Championships in Pittsburg, KS. He was fourth in his heat and 15th overall in 1 minute, 28.08 seconds, well off the 1:21.72 he ran two weeks ago. Josh Hill ran 49.32 seconds over 400m at the Texas A&M Aggies Twilight, the 15th best mark of the meet. He was ninth overall in the 200m after running 22.37 seconds. 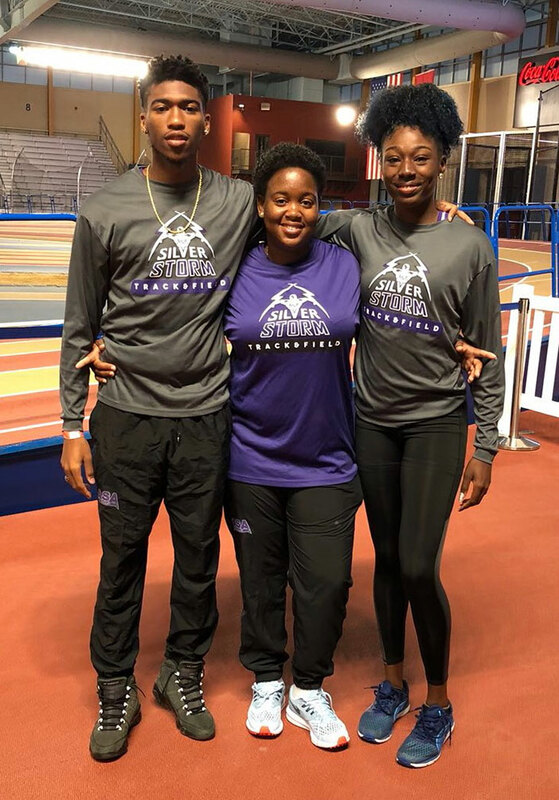 Kala Penn of ASA College, sailed to a season’s best on her opening Triple Jump attempt, when she cut the sand at 13.06m (42’10¼”) to win the Emory-Fiddle First Chance Last Chance meet in Florida. She placed second in the 200m just missing her season’s best of 25.59 with run of 25.60. Sophomore teammate Ronique Todman ran a 400m season’s best of 49.44 seconds, to qualify for Jr. College Nationals and was fourth overall. He placed eight in the 200m after recording a 22.71 seconds time. Freshman Dekoya Hodge opened with a Shot Put effort of 10.75m (35’3¼”) that stood up for eight best in the event. 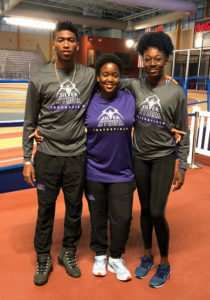 At the High School level, Xiomara “Gia” Malone booked her ticket to the March 31-April 2 Carifta Games in the Bahamas, after winning the High Jump in the Deltona Invitational with a personal best leap of 1.63m (5’4¼”). 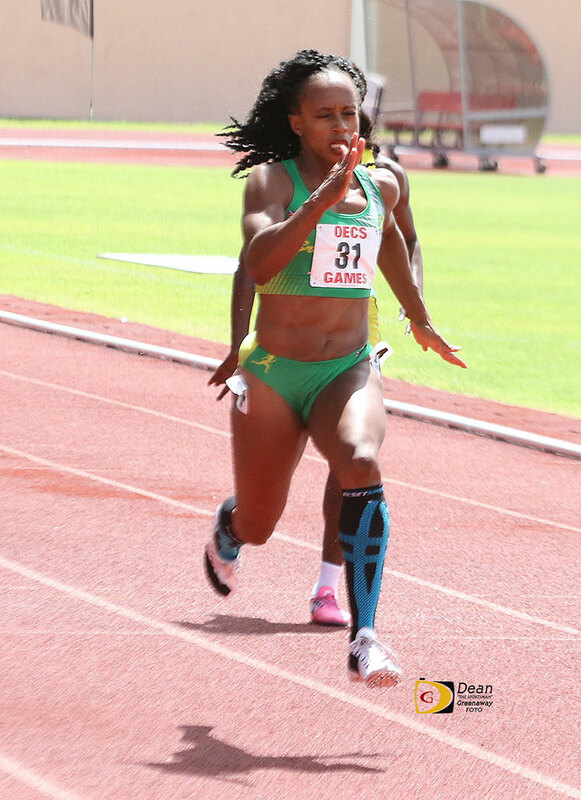 She climbed to No 5 on the BVI All Time List, after finishing second in the 100m Hurdles in 15.72 seconds. The Timber Creek High School sophomore, was also second in the 200m after cutting the tape in 26.01 seconds. Miami Killan High School Sr. Zakharia Frett finished second in her 100m heat, the 14th overall overall mark, with a time of 12.75 seconds competing in the Louie Bing Classic. Meanwhile, Plantation High School junior Chaz Fahie, finished third in his 800m heat in 2 minutes 03.44 seconds, placing 17th overall. Competing in the NYC PSAL City Championships, Naya Penn of Far Rockaway High, ran 7.54 seconds in the 55m dash, the 11th best mark of the meet.